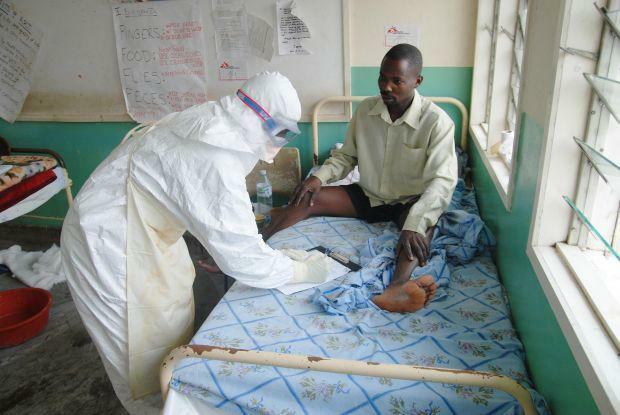 HomeNews in PerspectiveIs Sierra Leone sleep walking into another round of Ebola epidemic? The Ebola epidemic in West Africa which has taken the life of over 11,000 people in Sierra Leone, Guinea and Liberia, may have significantly receded, especially with Liberia being declared Ebola free, but Sierra Leone and Guinea continue to record new cases of the deadly disease. Given the insidious history of the virus and its cruel track record in terms of the rapidity with which it is transmitted and spread across geographical boundaries, there are fears complacency and lethargy are beginning to surface once again, in the fight to eradicate the disease in Sierra Leone and Guinea. In just over a month, more than 60 new cases have been confirmed in the capital city Freetown and northern districts of Sierra Leone. Whilst this rate of infection may be much smaller than the monthly average recorded throughout the second half of 2014, serious questions are being asked as to whether the authorities in Sierra Leone do have the leadership capability and commitment to bring the Ebola crisis to an end anytime soon. But what is certain however is that, whilst the search for a cost effective cure and vaccine continues, the road to success is believed to be shrouded in secrecy and plagued by corruption. In Sierra Leone various research studies and tests have been conducted, including the use of blood plasma, atorvastatin, and antiviral drugs. But the results of these tests costing millions of dollars are still unknown. What also remains a mystery is the experience of local physicians in Sierra Leone, in treating Ebola patients with the combination of atorvastatin and irbesartan. The Sierra Leone Telegraph has been reliably informed by a source that evidently, approximately 100 patients were actually treated, and that supply sufficient to treat at least 200 patients for ten days each, were delivered to Colonel Foday Sahr in Freetown. What happened to these drugs? Were they used? What were the results of treatment? This past week, it was announced that the clinical trial of the Tekmira antiviral drug being tested by Colonel Sahr and his colleague failed to show protection, and the trial has been stopped. Thus, it has become even more important to learn what has happened to Ebola patients in Sierra Leone who have received combination treatment. Last week, a report published in mBio®, the online open-access journal of the American Society for Microbiology, said researchers have found that generic medications used frequently in the management of heart disease patients, also have the potential to bolster the immune systems of patients with Ebola virus and some other life-threatening illnesses. Unlike other medications in development for Ebola, which attack the virus, statins and angiotensin receptor blockers typically used for heart disease work on the host response, or a person’s biological reaction to the virus, says lead study author David S. Fedson, MD, a retired professor of medicine at the University of Virginia and expert on influenza and pneumococcal vaccination, and pandemic preparedness. Specifically, the drugs stabilize or restore the integrity of endothelial cells lining the blood vessels. Endothelial cell dysfunction has been a central feature of human Ebola virus disease, he said, leading to severe fluid and mineral losses. “This approach to Ebola treatment has two advantages,” Fedson says. “First, it uses inexpensive generic drugs that are widely available in any country with a basic healthcare system, and most physicians who treat patients with cardiovascular diseases are familiar with these medications. The statin/angiotensin receptor blocker combination was found to help improve survival in 100 Ebola patients treated in Sierra Leone, Fedson says. In a pilot study last fall, patients were given the drugs atorvastatin (40 mg/day) and irbesartan (150 mg/day) at several hospitals in West Africa. While study reports were not published, Fedson said, reports indicate that rapid clinical improvement was seen in almost all patients. Only two are known to have died: one was critically ill when first seen and died soon after; the other initially responded to three days of combination treatment but relapsed and died when combination treatment was stopped and he was instead given an antiviral agent. The study results need to be replicated, Fedson says. To move forward, researchers should consider four courses of action, Fedson says: undertake research on the host response to Ebola virus infection, including involving scientists who understand endothelial cell biology; perform clinical studies in West Africa to test statin and angiotensin receptor blocker combination treatment in Ebola patients; incorporate any successful treatment of the host response in other clinical trials of interventions against Ebola; and recognize the implications of treating the host response for other diseases. Once again, the Sierra Leone Telegraph is asking these questions: What happened to the supply of atorvastatin and irbesartan – meant for treating at least 200 patients for ten days each, which were delivered to Colonel Foday Sahr in Freetown? Were they used? What were the results of the treatment? Also, what happened to the clinical trial of the Tekmira antiviral drug that was being tested by Colonel Sahr and his colleague, that is believed to have failed and the trial stopped? What happened to Ebola patients in Sierra Leone that have received combination treatments? Last Wednesday, 32 medical staff, including nurses and 4 doctors working at the PCMH Hospital in Freetown, were taken into quarantine at the PTS Ebola treatment centre, after attending to a pregnant woman who was later diagnosed with EVD. According to reports from Freetown, the pregnant woman spent five days in the post-natal ward at the PCMH, where she was transfused with one unit of blood, after which she started running temperature and was later confirmed Ebola positive. This latest development once again calls into question, the porosity of the health care system in Sierra Leone, which many believe still lacks the resilience to deal with the ongoing Ebola crisis. Can Ebola be eradicated in Sierra Leone? Is the government able and willing to bring this crisis to an end, after Helen Sirleaf of Liberia has shown how it can be done? 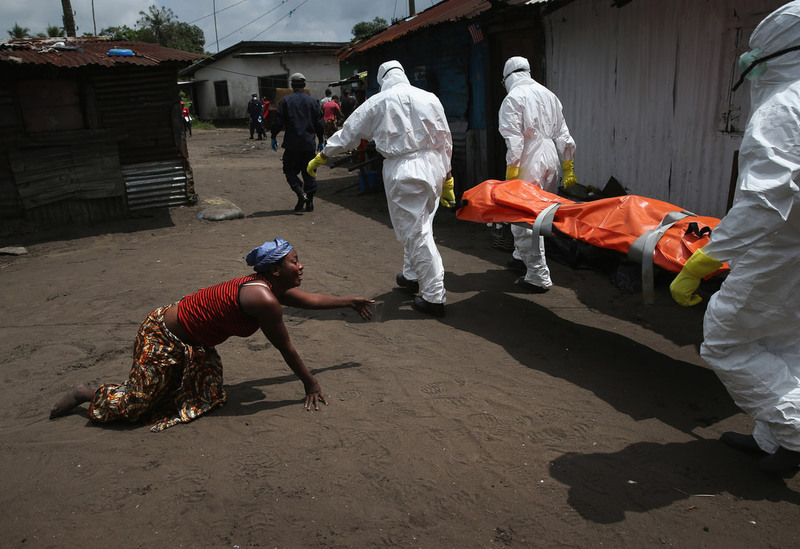 Is Sierra Leone sleep walking into yet another round of Ebola epidemic? I believe the same question should be asked about the use of convalescent plasma in this epidemic. Preliminary results are leaking from Guinea that it has been confirmed to be effective, which is unsurprising as it is the cornerstone of treatments for all cases in the United States during this epidemic. Sierra Leone Action had several machines and supplies to implement this for Sierra Leone. So what happened? Why haven’t they been used? The results of all these antiviral trials are murky. Tekmira announced the failure of TKM-Ebola before any preliminary scientific publications; Brincidofovir’s failure was reported by the Wall Street Journal. The Ebola affected countries need to take control of the investigations into treatment, or they will just remain testing grounds for big Pharma. Atorvastatin and irbesartan were used to treat Ebola patients not only at the Port Loko Government Hospital, but also at the Hastings Ebola Treatment Centre , the 34 Military Hospital and probably other sites as well. No one has come forward to describe (or allow access to) the results of these treatment experiences. Why is this so? If the reports documented in letters and memoranda are true, the reduction in Ebola mortality was truly remarkable. Furthermore, because treatment targeted the host response, it might also be effective in other forms of acute critical illness, including sepsis and pandemic influenza. If the latter, this could have enormous implications for global health and global security. The people of Sierra Leone might wonder why international health experts, including those at WHO, haven’t paid attention to this. They should also take satisfaction in knowing that local physicians have shown that a “bottom up” approach to confronting a serious emerging infectious disease is possible, and that their country has taught the entire world this essential lesson. The same drug combination was used in at least 25 patients in Porto Loko, with at least 25 survived because of the treatment with atorvastatin and irbesartan. But the DMO in Porto Loko as well as another physician have not been willing to make the results public. It is very unfortunate, as this information is important for Sierra Leone right now, and for how to deal with Ebola outbreaks and similar virus infections with no known cure or vaccine. So I encourage anyone with useful information to share it with The Sierra Leone Telegraph.